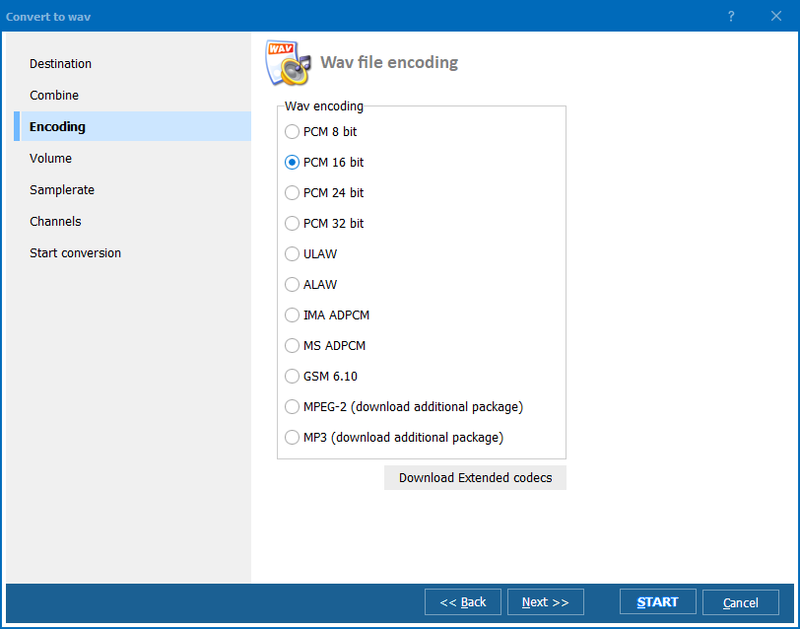 One reason why many users choose to convert OPUS files to other formats, such as FLAC, MP3, WMA, etc., is lack of players supporting the OPUS audio format. Hopefully more and more devices will get OPUS support in the nearest future. Right now we have to use more wide-spread audio file types. Total Audio Converter is an exception. Driven by a powerful engine and featuring a broad spectrum of audio quality options, this OPUS converter creates high quality FLAC files, making them barely different from OPUS audio files in terms of sound quality. 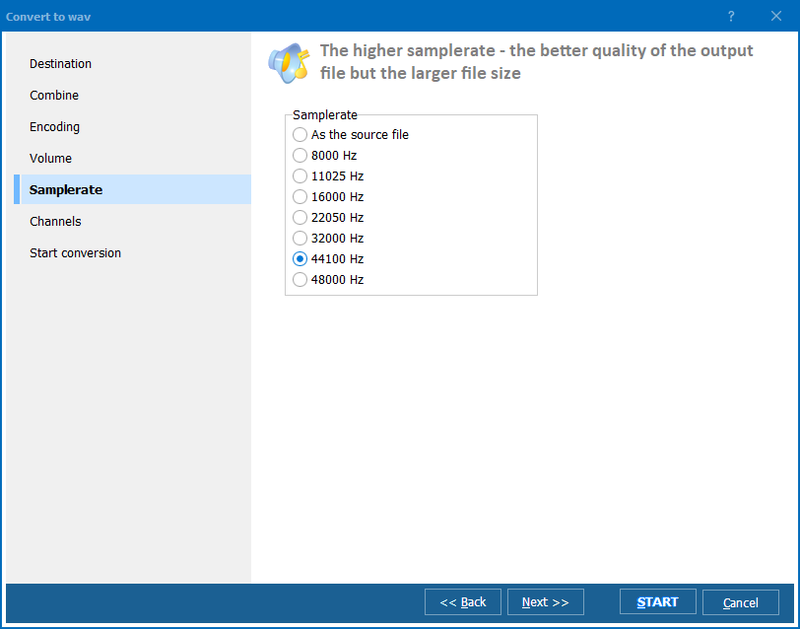 On top of that, Total Audio Converter is one of the fastest audio converters available. Thanks to its batch function, it can process a dozen of albums and open the output folder automatically, thus bringing you the result on a silver platter. 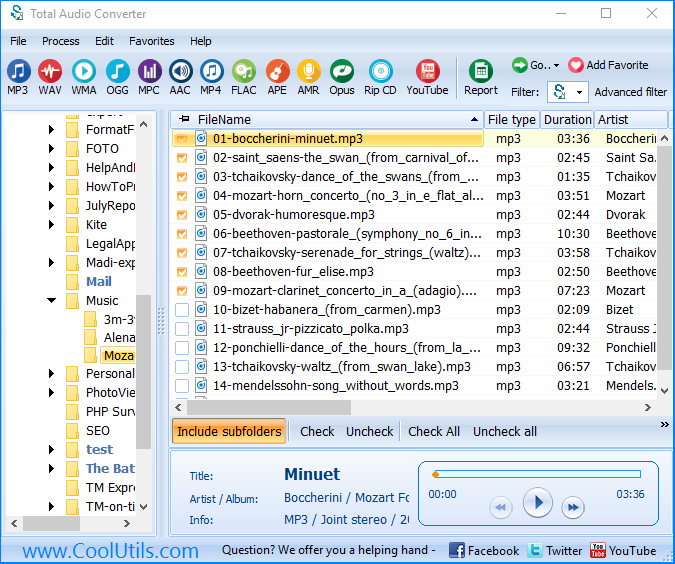 Launch Total Audio Converter, find the folder with OPUS files and view the list of your input files. Check as many OPUS files manually as you need. If you wish to process the whole set of tracks, press Check all. Now you have all your OPUS files ready for conversion. Set destination path for your output FLAC files. If necessary, use Combine option to combine all your OPUS music into a single file. To review the settings, choose Start Conversion. This converter features command line, so you can access the list of commands via Help menu and use them. Once installed, Total Audio Converter integrates into the OS and adds Convert to option to the right-button menu. If you wish to see how this program works, you don't need to buy it immediately. Visit our website and download the free 30-day trial version. Convert Opus to MP3 error-free.